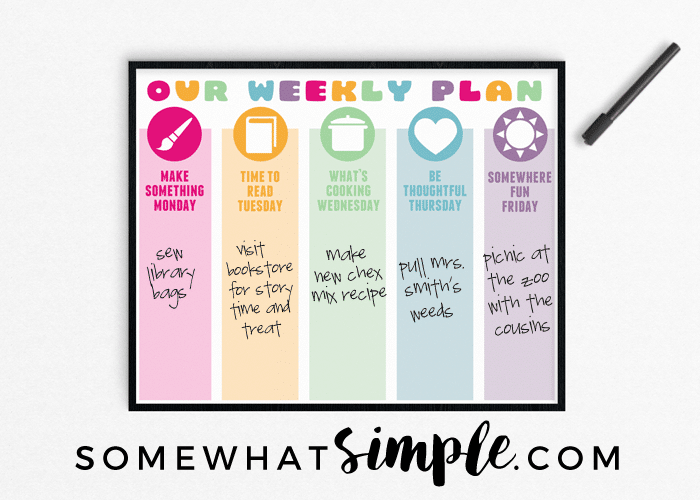 Make the perfect family command center TODAY with our helpful tips and 10 creative command center ideas! Any busy parent can attest to the craziness that comes from balancing the various family schedules. Sports practices, piano lessons, project due dates, picture day, field trip permission slips to be signed, etc. 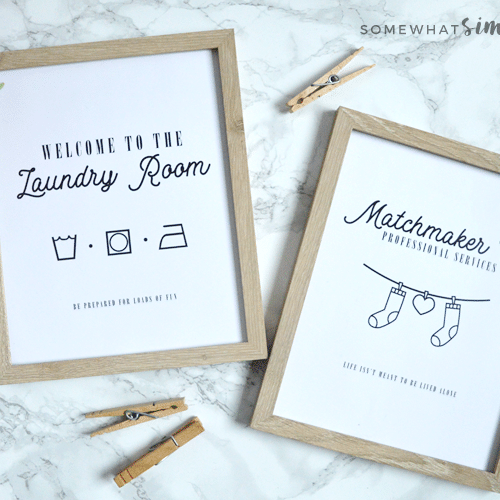 A household with kids (no matter how young or old!) is never more in need of a system for staying on top of all those details. 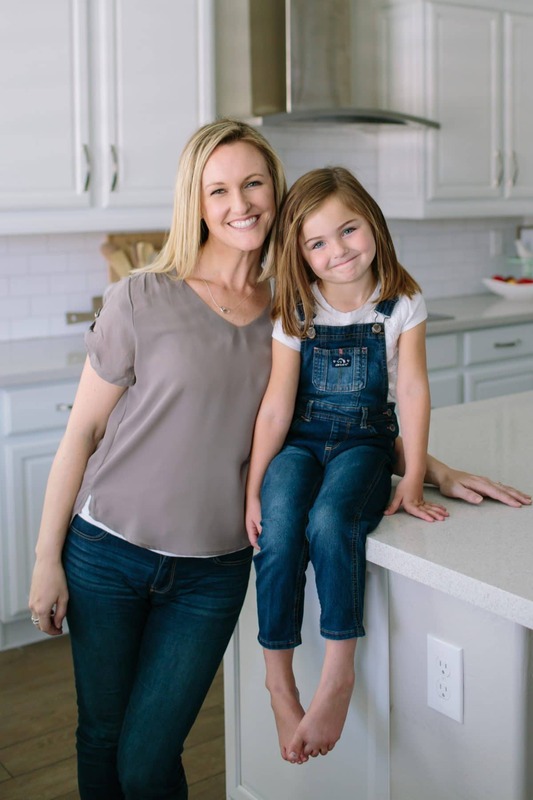 Usually comprised of a calendar, contact info, and a place for incoming mail and papers, establishing an efficient parent command center can make all the difference between pure chaos and smooth sailing! Think of your home command center as THE PLACE for all important things, and a way to stay on track of every event in your busy schedules. 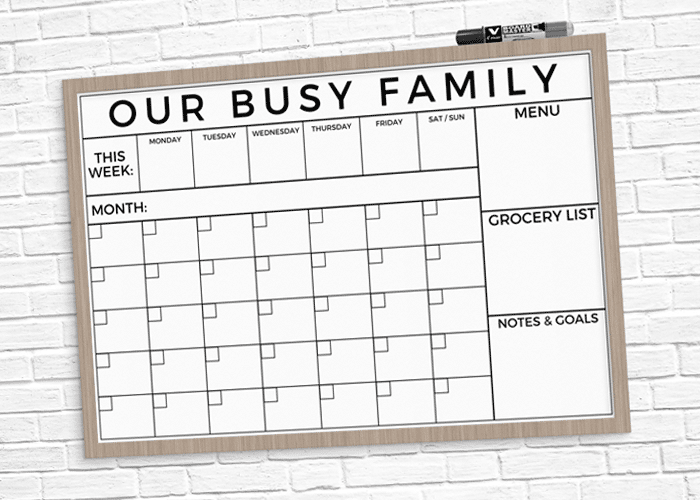 Find a place in your home that is in a prominent location so your family calendar gets seen and updated, and so your important papers are easily accessible and not forgotten. Our command center is in the entry way to our garage. We see it every time we come and go, so our calendar gets checked often and important events are less-likely to be forgotten. The bigger the better, I always say. 🙂 This way you can spot important dates at a quick glance as you rush out the door. – a list of emergency resources: telephone numbers for doctors + vets, insurance information, pharmacy and medication records etc. 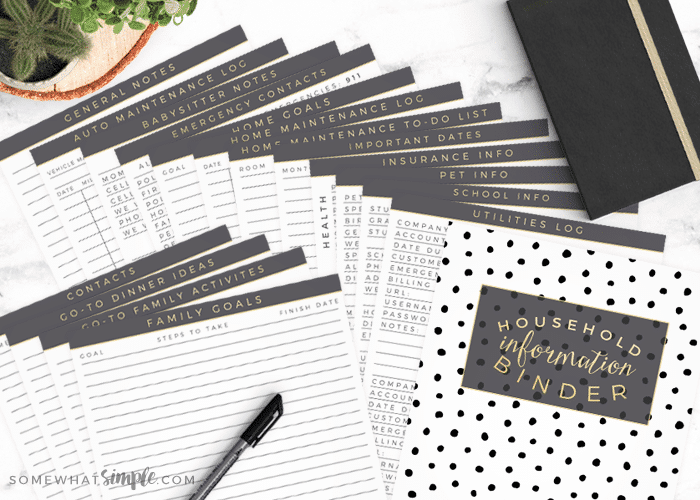 Every home needs a paper organization system for mail, bills to be paid, school permission slips that need to be signed etc. The more organized you can make this area of your command center, the better! 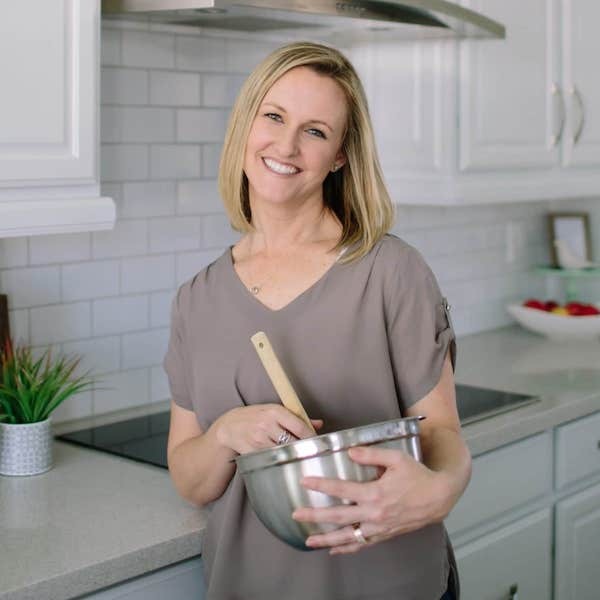 I like to have a place where all things are “dropped” – a place where kids can set their homework folders or important project assignments, and a place my husband can drop the mail as he walks into the house. I don’t let the pile sit there for longer than 24 hours though, because I don’t want it to pile up and I don’t want those important papers lost. So I also include a file system in my command center where I can sort and organized all the papers. I toss unused/outdated papers multiple times a week, so having a recycle bin handy sure helps me cut down on the paper clutter! The last thing I make sure to have handy are a few small office supplies – pens/pencils, paper clips, stapler, hole punch, and sticky notes, etc. 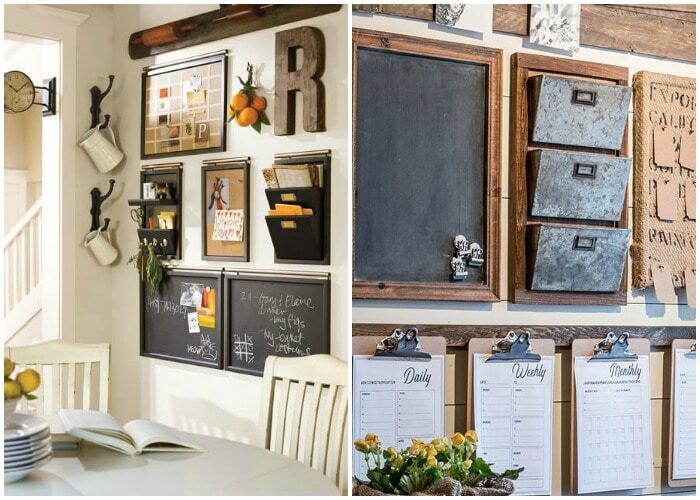 First, this galvanized metal and chalkboard wall allows for maximum flexibility and it looks fantastic! A radiator screen sure makes the perfect backdrop AND it makes organizing so easy! This command center has the perfect intersection of function and form. It has all the necessities (key hooks, wall pockets for mail, etc. ), and provides the kids with a place to draw and play Tic Tac Toe. 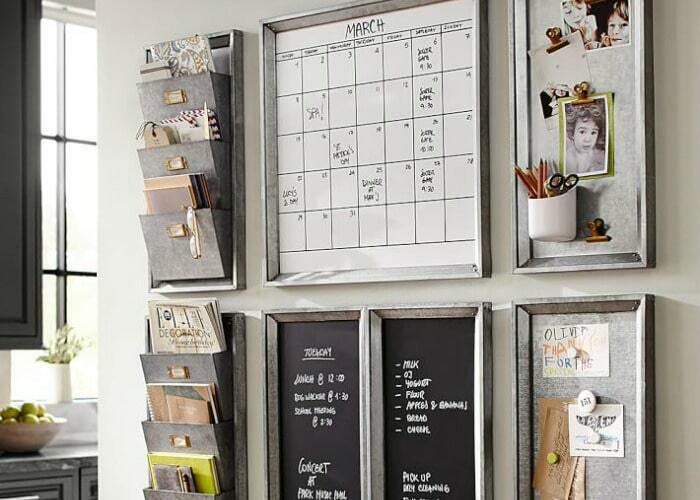 A row of clipboards hung at the bottom makes it easy to keep track of daily, weekly, and monthly calendars. From Little Yellow Wheelbarrow. Just about halfway through our list! 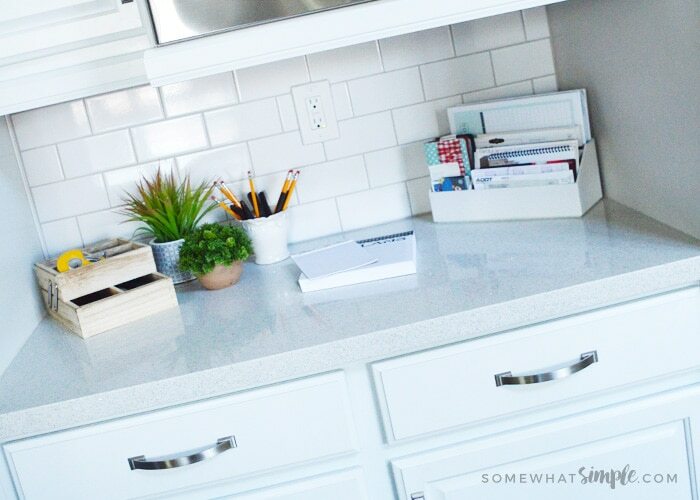 Kate from The Small Things cleverly morphs a command center with an entryway. 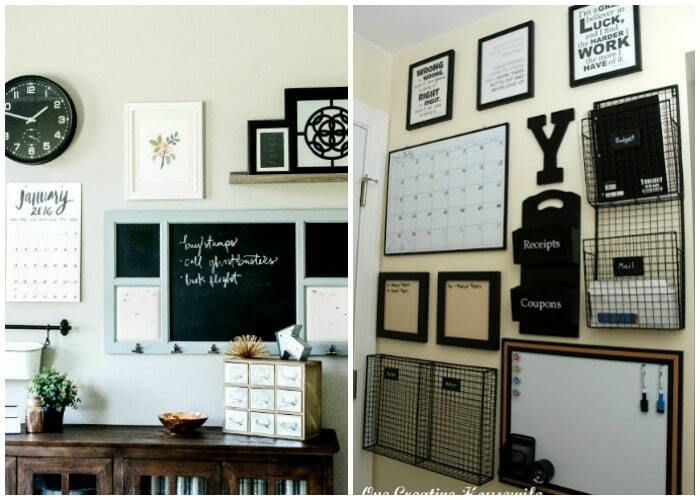 The result is a completely streamlined wall a calendar, chalkboard, and plenty of hanging wall organization. 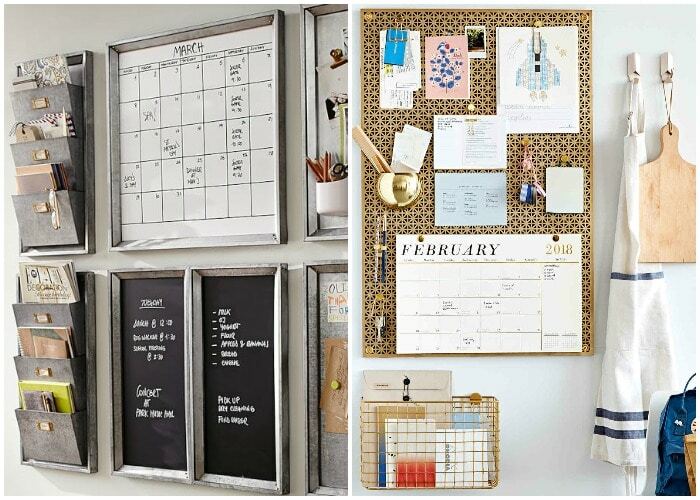 This command center keeps it simple and stylish by using wire wall baskets for incoming and outgoing papers, a corkboard and calendar and some matching decor. 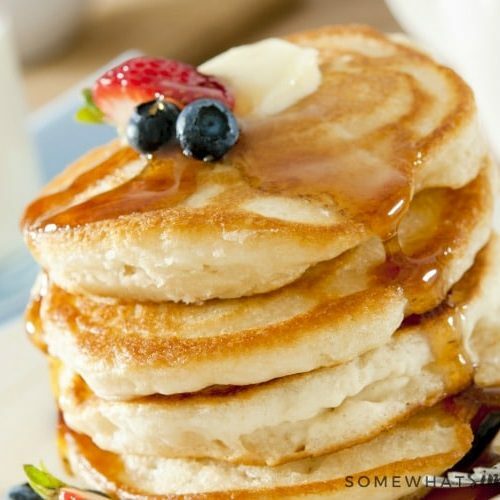 From One Creative Housewife. 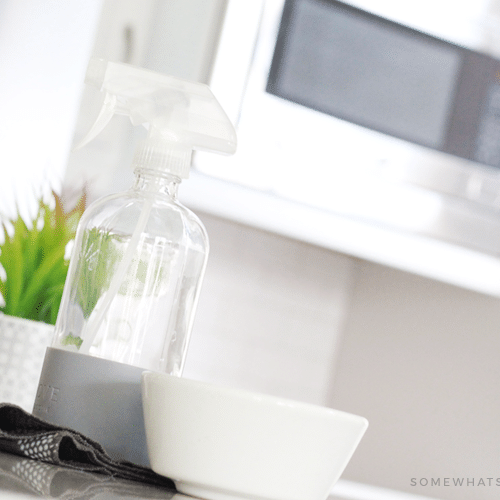 Just a Girl Blog shares their discreet take on the command center. The inside of a cabinet door plays host to the organizational effects, all of which can easily be hidden away by simply closing the cabinet. 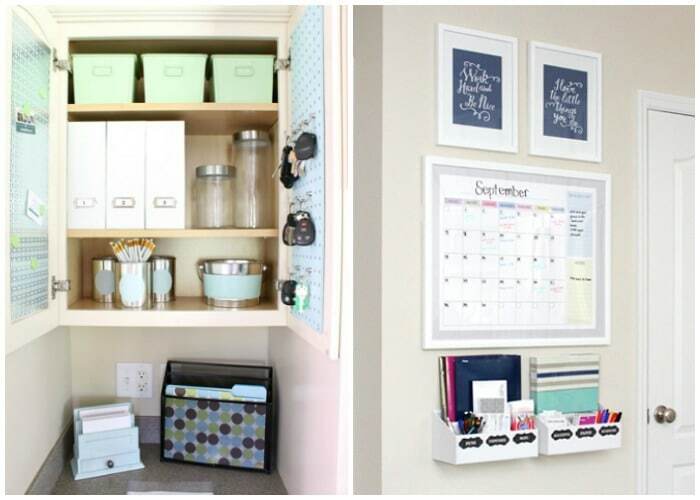 A smart dry erase calendar and a slotted organizer below becomes a landing spot for important papers, keys, phones, glasses, office supplies and more! 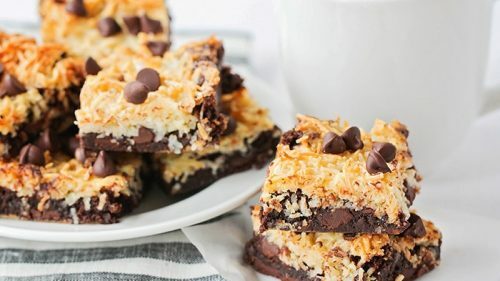 From How to Nest for Less. With a corkboard for pinning up important papers, a white board for jotting down messages, caddies,and slots for papers, THIS command center wisely makes use of verticle space, and looks sleek all the while. 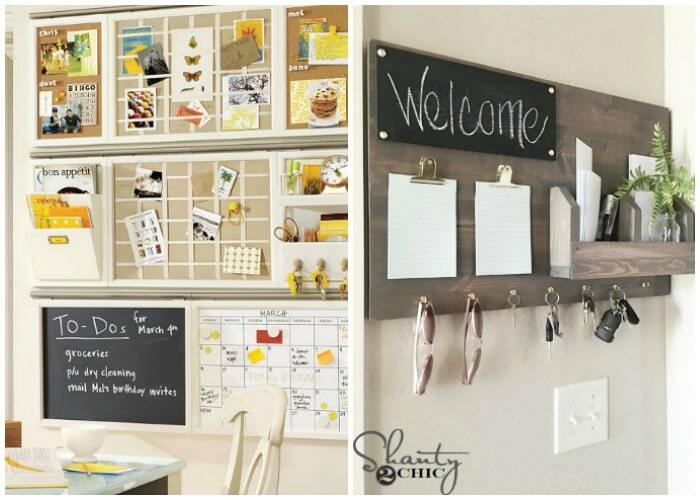 Finally, this DIY Organization Station from Shanty 2 Chic is completely homemade and occupies minimal space. Calendars and papers can be clipped on the clipboards. 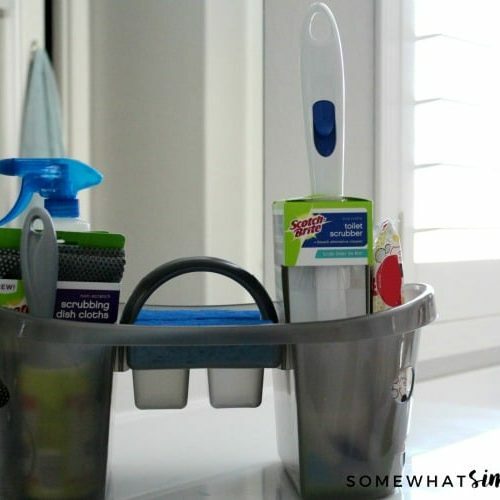 The basket of supplies to the right offers + the key rack below look awesome and function well. 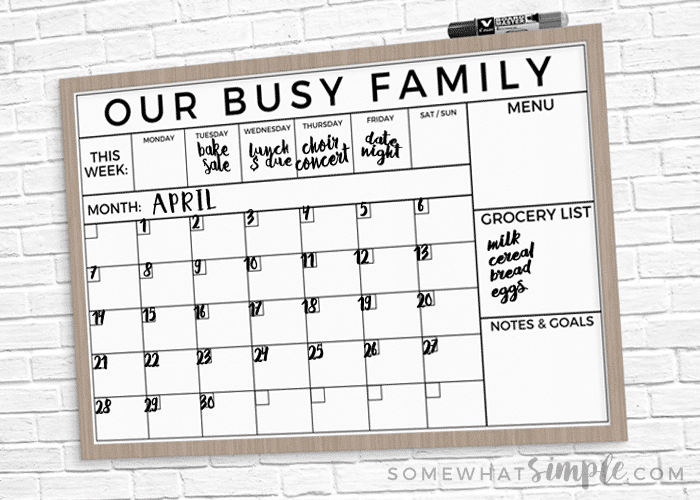 Our GIANT family calendar printable is one of the most popular items in our shop, and it has been for YEARS! 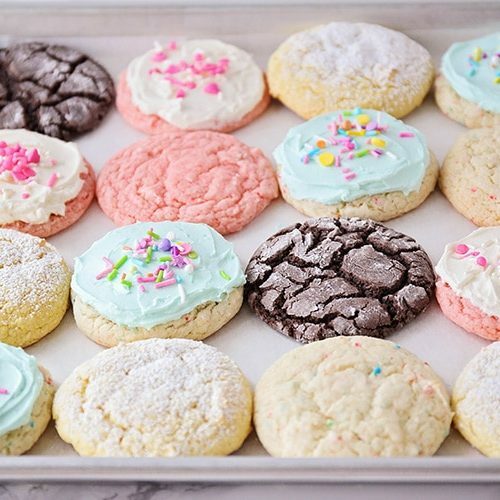 We have 3 different versions, so pick your favorite! The regular retail price for this calendar is $7.97, but use the coupon code below to get the file for only $1!!!! 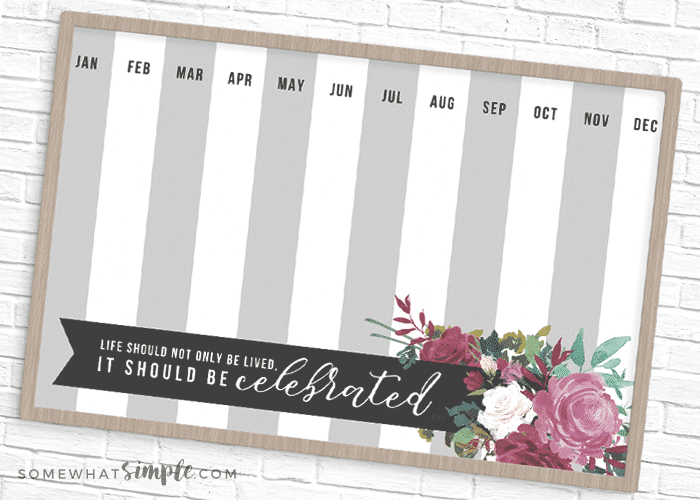 Read our Family Calendar blog post for details and printing suggestions. Good luck getting your family command center put together! Ahhh! I’m moving in to a new house soon, and have been “stuck” on how to design my “mud room,” and “Command Center.” I think these ideas will help lead me in the right direction! 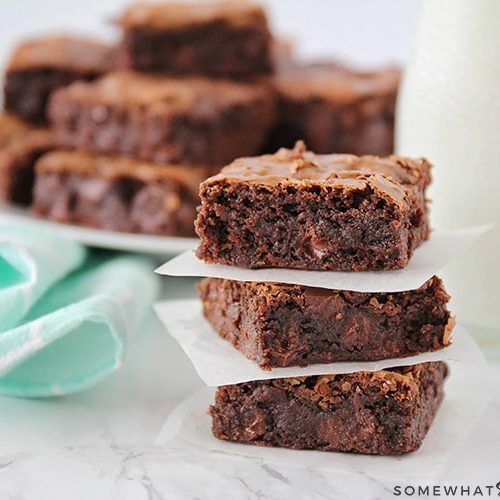 Thank you for sharing these ideas! I’ve tried several times to make a command center but I end up not liking it. I need to morph these ideas into one for me!